We aim to develop technological capability in young people through the study of craft, design, engineering and graphics. We aim to help them gain an understanding of appropriate concepts and processes; the ability to apply knowledge and skills by thinking and acting confidently, creatively and with sensitivity. We hope to make their time in the department an enjoyable and safe experience. Pupils study work across all Design & Technology subjects during the Broad General Education Phase in S1 to S3. 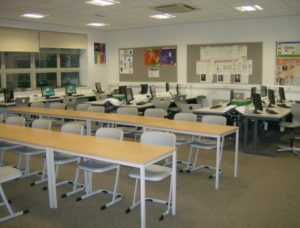 Resources to aid study in all Design and Technology courses are available on GLOW. Pupils should speak to their individual teachers if they are unsure how to access this content. 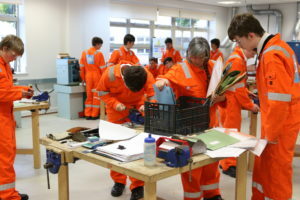 Developing the Young Workforce – Practical Metalwork in their “Mearsk” boiler suits.